One of the most popular readings I assign in my spring semester Higher Education practicum courses is from The Quarterlife Crisis: The Unique Challenge of Life in Your Twenties. Although the cultural references within are somewhat dated, the concepts still resonate with their audience just as strongly. It seems to uniquely capture some of the feelings that young college graduates face as they reach towards the next phase of their lives and the uncertainty that lies ahead. You can see some of the students’ reactions to the reading from a previous semester, here. Is the “quarterlife crisis” new? Or has it always existed? Does it look different now then it did in the past? This reading really hit home, since I feel like I have been dealing with my own “quarter life crisis” for the last few months. I do not think this is a new crisis because I feel like young adults have constantly had to cop with leaving their childhood safety net and entering into the “real world” or working adults. However, I do believe that early twenties today does look different then ever before. Since we are living in the world of technology, we are constantly updating, posting, and searching. However, because we are so tech savvy, we are also expected to also be able to be reached at a moments notice. I think this quick turn around time that many of us are used to has increased my anxiety for the unknown, and and in case right now for the upcoming job search. Since it takes time, energy, and effort to get all the application materials and research done on every job we are looking at we cannot just quickly hit reply to a job application like we are used to doing with many other aspects in our lives today. We need to take time, wait, and be patient for the unknown. For me, this is hard. In general breaking into the known job world, I feel as though I can go in so many different directions. I think that the increase in businesses, industries, and opportunities also adds to today’s twentysomethings quarter life crisis. When I began reading this article about the ” Quarterlife Crisis “, I was unsure of what the “Quarterlife Crisis” entailed. This reading made me aware of some past incidents and struggles that I have gone through that I was unaware that these same incidents and struggles were happening to many other people in their mid twenties. I thought my whole life that I wanted to be a teacher and live in Florida. I experienced the bumps and hurdles of the “Quarterlife Crisis” when I was teaching Kindergarten in Florida and I hated going to work every day, I lacked sleep, my eating habits changed, I could not remember simple things, I lost my organizational skills, I just wanted to be alone, and I felt like I was failing myself and other people around me. I had to make some difficult career decisions that would affect my future career long term. I realized how important my family was as a support system so I moved back home, I was unaware of what I was going to do when I got home, I was unsure of what my career path was going to look like, and I was scared. This was a huge part of my “Quarterlife Crisis” because I was unsure of my purpose in life, who I wanted to become, and I was unsure of if I was ever going to ” get back to my “normal self”. Fortunately, through some guidance and support when I moved back to Massachusetts I began seeing some positive events that occurred in my life that boosted my confidence and made me happy again. Things were slowly coming around, I got a part time job, and I was accepted into the fellowship program at Merrimack. This article made me feel a sense of happiness. I was able to see that many people experienced similar transitions and struggles like I did, and that not everyone knew exactly who they wanted to become when they were in college. I feel that come May, I will go through a similar process when I will be applying for jobs, but now I am ready to go in with an open mind and know that time will tell where I am suppose to be and what I am suppose to be doing. As someone who doesn’t have a clear vision of what I want to do next, the article really resonated with me. There seems to be endless possibilities and countless “next steps” to take. As graduation continues to near, I can see some of the opportunities and challenges that can cause the quarter life crisis. Recently, finding and securing a job has become increasing more difficult for students upon graduation. Accompanying the poor job market and fierce competition, a growing percentage of twentysomethings are coming out of both undergraduate and graduate programs in substantial amounts of debt. As a result, the transition to the real world is becoming is more and more challenging. Twentysomethings face greater financial obstacles than student have in the past. I believe this adds to the anxiety that already existed. In my opinion, the quarter life crisis has always existed. The transition into the real world has and will be a difficult process. Today, I believe the financial woes that many twentysomethings now face makes the crisis more pronounced. I believe peoples concern about college debt and have increased people’s awareness of the difficulties associated with the quarter life crisis. Entering the real world is going to offer all of us twentysomethings our share of struggles and exciting possibilities. All transitions can create a sense of fear and scariness. I believe that this anxiety and uneasiness that I am feeling that is associated with the quarter life crisis will also be felt at other stages in my life as I continue to grow and try new things. The quarter life crisis must be embraced and we must all be mindful of its existence. The “quarterlife crisis” is entirely real, yet quite a bit different than it used to be (and I can imagine it different in the future as technology continues to advance and society continues to change). Everyone has unique experiences, but everyone experiences some degree of doubt and uncertainty at times of transition. I found it very interesting that the responses from the students in the article indicated that much of their anxiety stemmed from their doubts about fulfilling goals and dreams that they “thought they wanted” or imagined for themselves when they were younger. There are so many aspects of the quarterlife crisis that are ironic. We are taught from a young age to set goals and have dreams and to always strive for progress, and this is one of the main reasons for our anxiety. I strongly believe in following goals and dreams, but maybe as our lives evolve and transition, our dreams and goals must also evolve and transition? I can easily see how social media is an added contributor of worry and stress to twentysomethings when looking for a career path. Social media allows us at one click to see that others are getting jobs, traveling, getting their own apartment or house, etc. and we cannot help to compare ourselves, adding more stress and questions. We are constantly taught to look ahead and strive for progress and a better future, and this is exactly the cause of doubts and uncertainty among twentysomethings. What is life without trial and error? Pre-college up until my last year of undergraduate study, the thought of failing scared me beyond words. Having always been a “people pleaser” I put an immense amount of pressure on myself to never fail or let my peers, family or friends down. As I grew older, I learned rather quickly that this was no way to live and as I began to reflect back on my undergraduate years, the moments where I saw the most growth in myself were products of many trials and many errors. In the reading I really resinated with the author when she said “everyday there is a different situation that can teach you something new about yourself”. For me, this is something that I try to continuously remind myself of. It helps me to grasp the most from every situation I am in and even if something doesn’t work out the way I had hoped or expected, I can at least learn from the experience. Being a very passionate person, I find myself pulled in many different directions. This can be both a positive and negative quality as I embark on the job hunt post-graduation. The positive is that there are so many jobs that I can picture myself doing therefore there are many options! The negative aspect is that I find myself having a hard time deciding on what I should do next. After reading the Quarter Life Crisis, I felt more calmed in the sense that in this day and age people change jobs all the time and I don’t have to pick the career I am going to do for the rest of my life right away. I would confirm that I definitely have some quarter life crisis qualities, but I feel that it is okay. I think the people who struggle with the quarter life crisis are those who were and are naive to it in the first place. Being open to change and willing to change are qualities that can benefit someone in their twenties. In addition I think that the quote, “It’s not about reaching the end of the path, but rather about the twists and turns along the way” would be a great reminder to those who are struggling in the quarter life crisis. Everything and everyone in your life has a purpose and one day it will all make sense. During my college graduation, Gonzaga University President, Thayne McCulloh, made a point of emphasizing that the the final procession was entitled “commencement” rather than “conclusion” as it marked the beginning, not the end. My understanding of this philosophy as I stand at the threshold of adulthood, “real life” and my future differs immensely from my perspective as I sat impatiently in my cap and gown. The purgatory of post-college, twentysomethings described and defined as the quarter life crisis, pinpoints my current position. The social setting that I had come to know and love has dissipated, doubtfulness plagues each decision as the future looms over my head, while my philosophical ponderings have taken a narcissistic turn as I contemplate who I truly am and what is best for me. Reading about the similar scenarios of Penny, Gabriella and many others illuminated the reality of the entrance into the seemingly endless maze of post collegiate life. Yet, as a graduate student, I feel as though I am almost having an out of body experience, watching myself endure the traditional social withdrawals and futuristic questionings while continuing to follow a map educationally. Growing up in Massachusetts, I wanted my college experience to be radically different from my childhood, thus leading to my decision to attend school in Washington state. While the experience rewarded me with an increased sense of self, new social skills and heightened independence, I find myself staring out into the limbo of post-collegiate life, clinging to my childhood through my schooling at Merrimack. After four years in the Wild, Wild West, I find myself not only back in Massachusetts, but attempting to attain a graduate degree in my home town. The purgatory that I find myself in reminds me of the great Ernest Hemingway, as my confusion is rooted in longing for “distant lands.” I miss my friends and Washington constantly, yet I know that if I moved there I would experience similar Massachusetts withdrawals. While this originally caused me to adopt a “woe is me” attitude, I realize now that I cannot dwell on my bicoastal longings, but I must view this as an opportunity and a blessing. I believe that the quarter life crisis is natural, daunting and extremely beneficial if approached in the proper manner. While it may be a new phenomenon, it is an incredible crisis to face. The quarter life crisis represents opportunity and potential, the chance to strive for more and different paths than those before us. I do believe that the new definition of the crisis is fairly recent as generations before us may not have had the same future prospects. Upon graduate school graduation I will be thrown entirely into the crisis, however the philosophical approach that I will use when approaching the inevitable purgatory. In the esteemed novel “Siddhartha” Herman Hesse writes, “Seeking means: having a goal. But finding means: being free, being open, having no goal.” I believe that many “quarter lifers” could find comfort in this philosophy, particularly where most do not know yet what they are seeking for. The notion of finding and attaining happiness, success and perhaps overcoming the crisis is rooted in flexibility and open mindedness, embracing the future and walking into the unknown with confidence. The wording that Hesse uses (“having no goal”) illuminates the destructive nature of narrow mindedness. How can a twenty-two year old have a SINGLE end goal? While I am constantly struggling through the quarter life crisis and my post collegiate transition, I am happy for the opportunity to face this crisis and am optimistic that I will eventually exit my current limbo. I will adjust to the new social situation, develop a deeper and ever evolving understanding of myself and gain more confidence with each decision that I make. I will undoubtedly have regrets, but I am twenty-two and I know that I can learn, develop and alter the decisions I make today tomorrow. This reading struck a particular chord with me, as I feel I have been going through the “quarter-life crisis”. Having already received a M.S. in Education and exploring the world of secondary education for awhile before realizing it wasn’t what I wanted to do and changing my whole path makes me feel like I’ve been through the ringer of a quarter-life crisis. I think this is a relatively new concept and I think it has to do with the society we find ourselves in today. With more job competition I think more young people are facing similar situations to my own. Finding it difficult to find employment and also realizing the system I was working in didn’t align to my personal values made it a confusing time for me where I had to reconsider my purpose in life. When you are in your mid-twenties this is not something you necessarily expect to happen. When you decide what you want to do with your life during your early college years (or sometimes even before that) it often feels like your life is then set in stone. Growing up, I was still surrounded by family members who stayed with the same job or company for years and this was seen as the norm. When I chose my path when I was a sophomore in college, I didn’t even think about the idea that I would be able or willing to change my mind and try something else that better suited my needs and values. I often think about the time I spent in London with peers who had taken a “gap year” between high school and college to figure out where they were in life and have time to really think about the future. I don’t think here in America we allow ourselves much time to reflect and always are rushing to the next step in life and that is a problem. I don’t necessarily think the quarter-life crisis is a bad thing. For myself, I feel like I am finally on the other side of the crisis and now reaping the benefits. I have been lucky to find myself highly supported during this time, which I wasn’t entirely expecting. I haven’t met many who ask why I’ve decided to do something different or tell me I’m being crazy, but rather have been met with understanding and compassion. I think the quarter-life crisis is on its way to being seen as more of an accepted practice than something negative. My reactions to this reading led me to be reassured in my journey in life and yet, slightly uneasy about where I will end up after May 16th. While reading I was thinking about all the pressure that there is to accomplish so many things in your 20s. I constantly hear stories from my family and older friends that your 20s will “be the best time in your life.” At this point in my life, I really do not believe them (Maybe being a broke grad student isn’t helping). I believe the “quarterlife crisis” is a fairly new phenomenon. I believe that based on added pressure and influence from social media, rising cost of education and the struggle to obtain the best job is extremely overwhelming for twentysomethings in this generation. I think that each generation and each individual person has their own struggles that they face, but I feel that there is a constant pressure on twentysomethings today to be on their own, travel, make the most money and so on before they turn 30. As a 22 year old, I feel that I am rushing to accomplish all of these things in my life before I escape my 20s and fear that I will not have “the best time of my life” if I do not accomplish everything I am “supposed” to do. I feel that the midlife crisis is something that society tends to talk about, but this new common theme of a “quaterlife crisis” or as I would like to say “mental breakdown” is becoming more and more common and spoken about in recent years. I do believe that your 20s are a time of learning and growth and exploration for many individuals and throughout different generations. I think that recently, your 20s are considered most anxiety driven time in a persons life. In the past there were of course different pressures during an individuals 20s, but the added amount of societal pressures and social media influences has consumed current twentysomethings. I have not experiend much of my 20s, but the social media that consumes my life has told me all I need to know and experience before I turn 25. I am constantly reading blogs about all the things you must do in your 20s, before you get married etc. etc. (the list goes on forever). The “quarterlife crisis” I am experiencing now is the pressure to enjoy my 20s by traveling, doing things for myself and landing the job of my choice. The pressure of doing all these wonderful things in my 20s sometimes consumes me and my decisions I make daily. I think my advice to all experiencing this “quarterlife crisis” is to not be consumed by all the pressures that we may face during this time in our lives, and to not let the uncertainty that lies ahead consume us. I think that throughout life there are multiple crisis, just to name or label a few, there is the “Adolescent Crisis,” the “Pre-College to Post High School Crisis,” the “Mid-Life Crisis” and now, the “Quarter Life Crisis.” To answer the first question, I believed that the “Quarter Life Crisis” has always existed. Now that society has put a label on this particular crisis, it has definitely been the topic of conversation. To answer the second question, I think that depending on the person and the situation that this person is going through, it could look similar to a crisis of someone in the past. Looking at history and seeing where the world is today, it is very different, the world is evolving. However, the foundation of being human technically has not changed. For myself, I would say that I am experiencing the “Quarter Life Crisis.” After hearing great stories from my mentors and friends in the field of Higher Education, who have moved across the country, I thought that I would have a similar experience. Yet, moving 2,500 miles across the country for the first time is a bit challenging because I know that I essentially have start over. I think that by coming to Merrimack College to pursue my graduate degree has definitely been an experience. There were multiple times where I felt really emotional because I felt like I did not know who I was anymore. I was losing myself as a person. I think a huge reason to why I was feeling this way was because I was not surrounded by the support system that I would normally see on a daily basis. Plus, I was in a whole new environment and culture that I was not use to. In addition to this, I worry about my future and where I will end up. Which does not help when I was losing myself as a person, as well as, being emotional. I have definitely been going through the “quarter life crisis” since graduating college. The excerpt from Sylvia Plath’s The Bell Jar describes exactly what my thoughts have been about life and career choices for the past four years. I can imagine myself doing so many different things and loving all of them, but it is difficult to choose which one is best. I feel that my college experience opened my eyes to the abundance of opportunities that exist in the world and therefore made it more difficult to commit to a career after graduation. I have always been passionate about travel and experiencing new cultures and I was afraid that if I committed myself to a career directly after college that I would never get a chance to travel and see the world at a young age. I constantly hear people saying how they wish they had taken time off to travel and discover themselves before starting their career, so I decided to take a risk and save money to backpack through Asia. It took me almost three years of working menial jobs, but eventually I reached my goal and was able to travel for six months. I believe the biggest struggle at this point is knowing what life decisions end up being the right ones in the long run. People fear the unknown and in your twenties you are in a constant state of uncertainty. I think the best rule to live by is to understand that you’ll never know unless you try. The author of the “The Quartlife Crisis” advised guys like me to pay close attention to his insights so we would better understand the mood swings of our younger ladies. I am not too hopeful here, but I shall wear Jim’s leather jacket for the duration of this exercise to humor his notions. After all, Jim is my closest peer, if age were all that counts. However, this is the 12th year of my first marriage and my wife’s twenties lie in the past as well; shouldn’t I have entered my midlife crisis by now? Considering that I am student again, perhaps I have not even fully worked through my quarterlife crisis yet. That said, I clearly remember how it felt to leave college, so it can’t be a new thing. Has the quality of the experience changed? My unease, doubt, and indecision about the “real world” and the choices I was facing in my twenties are quite similar to my sentiments today. Combined with the general fear and loathing that surrounds full-time employment (let alone the uncertainty of which), transitionary periods are always anxiety-inducing, regardless of age. Unfortunately, these anxieties are quite justified. Jobs may not completely define us as human beings, but they certainly consume much of our lifetime. Speaking from experience, what you do for a living may in fact be a huge factor in your happiness. On the other hand, first and second jobs do not cast your life’s trajectory in stone. Getting a job to get another is how the game works. Who cares what social prestige your first job title after college bestows? What if the impressively lucrative job you accepted is killing your soul? The quarterlife crisis seems more pronounced today because careers are not what they used to be: In times of mass unemployment, companies choose from an abundance of (over)qualified applicants, pensions turn into 401Ks or evaporate entirely, and benefits become patchy. What is worse, once you worked your way up, the fear of getting outsourced or replaced with a younger and cheaper employee is more than paranoia. Administrators in higher education are hardly exempt from such prospects. I could therefore define a “mature employee crisis” that looms much larger than any of the mainly psychological quarterlife tribulations that graduates my experience in their twenties. “This too shall pass,” the avuncular part of me wants to proclaim, yet I fret just as much as everybody else does. All in all, I see few benefits in living life as a journey from crisis to crisis. – Life would be even shorter if it only really happened in between our crises. The timing of reading this article is astounding, considering what is going on in my life. It is defined by transition – transition that was neither planned nor wanted. Circumstances have caused me to have an impromptu apartment search, the first time I have ever looked for a place to live that wasn’t my parents’/partners’ house, university housing, or housing required as part of my job. Filling out the renter’s application, I was having mini-panic attacks. It was the first time I have seen myself as entering the real world. Despite the fact I have lived on my own multiple times, I still had stability, whether that was through my job that oversaw the tenancy or through school. There are no strings attached with this apartment and it terrifies me. The real world scares me. To a certain degree, college students have still been protected by a thinly-veiled bubble. Though we are seen as autonomous in some ways (after all, we are technically ‘adults’), society has still handed us the excuse that we are a student if we make a mistake. It certainly won’t excuse you from every mistake made but it does give a little protection in most situations. Graduating in May removes that bubble, exposing us to the realities of the world. There is no more guaranteed structure like we had in college with classes, part-time jobs, and campus involvement. When (I am going to be optimistic and not use ‘if’) I get a full-time job, my structure is Monday through Friday 8am-5pm. Other than that, there is nothing. Free time scares me too. It makes me feel wasteful. There are no more assignments to complete that keep you up until the early hours of the morning. There are fewer evening activities compared to when I was an overinvolved student leader. There are no more graduate classes four nights a week. I am actually going to be forced to live in the real world, make friends outside the structures in my life, and find ways to occupy my time. It’s a paradox. I want it to be May 16th at 9pm right now so that I have my masters degree in hand. At the same time, I want it to be September 4th, 2009, starting my first day of college. I want to be an adult but not face the realities of being an adult. We all know that time does not go in reverse so come May 16th, whether I like it or not, I am going to start overcoming my quarterlife crisis. I completely understand where you’re coming from. I had the same housing experience while in grad school… Had to get my own place for the first time… Not have people immediately near by to hang out with. It’s a difficult transition. So I empathize. It can also be one of the best times if you put yourself out there and embrace it. I think that the quarter life crisis is not new. This is timeless issue in any society because the core of the quarter life crisis is not related with the age, but with unexperienced 20s who are forced to go into the real world which means that they should start economic activity to support themselves or their family. Therefore, the idea from The Bell Jar written during 1960s might be applied not only to modern 20s in the U.S. but also to other countries’ 20s in 2000s as well as in 1960s. Someone might say that the quarter life crisis is a new phenomenon in the global economic crisis. In South Korea, people who spent their 20s between 1970s and 1980s might not experience the quarter life crisis. Despite low GPA, most college students could easily get a job with a high salary right after graduating from college owing to tremendous economic growth in South Korea. This is partly true in terms of job market, but I believe that 20s during those days also experienced the quarter life crisis in a broader perspective because they were still 20s who thought about their future and should prepare the rest of their life. I don’t think the “quarter life crisis is new, but I do think it has changed overtime. In the past there was more emphasis on getting a high paying job to support yourself and your family. Now there is an importance placed on “finding what you love.” I think the quarterlife crisis comes from entering into the real world and realizing there is no way to measure if you’re doing well or not. There are no more grades or approval stamps that tell you if you’re doing the right thing. It’s really ambiguous. Some people think you’re doing good if you’re passionate about what you do, others say it depends on your starting salary. I also think twentysomethings think their next step has to be as long and routine as the past steps in their lives. You’ve been in school for 20 years and you want to quicikly find something that gives you that sense of security that you’ve been used to. I do agree with the fact that it’s hard to get data from that age group because of the stigma associated with mental illnesses such as depresession. But I do think the quarterlife crisis is becoming bigger than we’d like to think. In my experience, a huge effect of quarterlife crisis is the pressure from those in our lives to do just that, figure out the next step in life and do it. Many of the twentysomethings are afraid of making that next step thinking it can derail the routine they have been used to. I really resonated with Sandra in this chapter who changed her mind and questioned frequently during her quarter life crisis. Sometimes I feel like everything is on track and everything is great. There are times when I get into serious questioning about whether I made the right decision about my current position and career path that I’ve chosen and if there’s any way I can change my mind. While I do think uncertainty is a major part of the quarterlife crisis, I think it happens more often in than at just the times when there are extreme life changes. I don’t remember being so overwhelmed about graduating and entering the professional world as college students seem to be in this era. I remember thinking now what…. you just do it. I feel there are so many more choices and options for college students to be pulled here and there with the influences and expectations of society and the uncertainty of the economy and the world in general. It is a less stable atmosphere for college students to enter into than in the past. I am currently helping a student from AZ, living in MT, trying to muster up enough motivation and determination to get back into school after failing his first semester. He has been out for a year and a half, and just getting the requirements done for admissions into another college is overwhelming and he has reached road block after road block, which produces a real sense of discouragement in him. I believe the key is a support system. He has had none, and therefore, is lost, now 21 and with no direction, feels like his only hope is to work at a dead end job to pay bills. I believe the support system that many colleges and students, themselves, have created around them, drastically drops off after graduation. Therefore a mentor to keep in contact with would help these recent graduates make successful and healthy decisions regarding the next phase of their life. With this theory of quarterlife crisis becoming more widespread and talked about, I would assume specific studies would then become an area of interest and twenty somethings will become aware of the struggles facing them in a manner that is then not so surprising or terrifying, but of one that they can prepare for and know the steps to take to get them through this period. As I read this excerpt of the book, my initial reaction was that this was all a bit dramatic and very #firstworldproblems (couldn’t resist!) as we would say now. I am assuming that the authors of the book are considering only twentysomethings from North America. I would put money that the struggle of other similar young lost souls around the world is much less privileged than that of American (and probably Canadian) students. However, with no evidence to back up this claim, I will shift my focus. After reading several pages, I started to realize that I couldn’t deny that I was reading about the experiences of me and pretty much all of my friends. We have taken different paths and had different reactions but, at some point in our twenties, have all had doubts, insecurities, major life changes, etc. I guess it is nice now to be able to put a name on all of the questioning and learning that I’ve experienced this past decade. As many have pointed out, the word “crisis” may have a negative connotation with it, but I think it is necessary to develop one’s sense of identity. It would be quite boring if we all stayed the same – and if we all took the same path in life! It is inevitable to consider one’s own journey when considering the “quarterlife crisis.” A few things I have learned throughout my twenties is that it is okay to not have a five-year plan, to not follow the plan my parents recommend (but to listen to their advice, because – hey! – they have been there! ), and that in the end you just have to “do it” as the author ends the chapter. One of the best pieces of advice I received in my twenties was to just make a decision and go with it – there are literally endless possibilities for careers, lifestyle choices, places to live, etc. Instead of worrying which one is “right” or “best,” at some point, you have to go for it. This has to do partly with growing up and not being able to rely on your parents to let you come back home (we are the “boomerang” generation, don’t you know? ), but also partly with having the confidence to know that you are able to make these choices now – and be happy, not jealous, for the others who pursue what you only dreamed of. My favorite quote in the chapter was, “my resume will not be my eulogy.” I am so happy about the career choice that I have made but it cannot define me. First of all, my mother still doesn’t understand what my Masters degree is in, but second of all, I have so many other passions that may at some point overlap with my career but would make my life far more interesting if they did not! I also agree that the concept of a “quarterlife crisis” is not new or unique. I believe, as the authors of the book do, that this concept has existed for twentysomethings for as long as twentysomethings have existed. It appears that our society simply has not had the language or sensitivity to acknowledge it, understand it, and work to make it better. While everyone’s path is different, especially depending on where – physically and mentally – their upbringing and education has left them – the loss of the feeling of “predictable stability” is the same. The introduction to and “culture shock” of the “real world” is a legitimate and warranted feeling experienced by anyone who is growing up. Without the security of parents, school structure, finances, and certain necessary life skills, navigating the path of life is extremely challenging and, as the article states, “the endless array of decisions can also make a recent graduate feel utterly lost.” (p. 3) As Plath demonstrates through her metaphor of life as a fig tree and these decisions hanging like figs, there is a real sense of urgency to figure out what one wants to be and how one will become that. This self-discovery and introspection was a relevant and pertinent choice for her future fifty years ago and is just as relevant to our twentysomethings (and perhaps even thirty-, forty-, and fiftysomethings) today. It is natural for any adult thrown into the real world to feel there is a sense of, “overwhelming instability, constant change, too many choices, and a panicked sense of helplessness.” (p. 3) Mapping out these feelings and one’s life is a significant and often stressful undertaking that can feel even more so without the proper support. While the actuality of this development stage has always existed, it has looked and fostered itself differently for different generations depending on the historical and cultural events that affect it and circumstances that surround it. As the book suggests, twentysomethings today face an even more stressful task of planning their lives because of our cultural shift from the adult mentality of “support the family” to “love what you do.” (p. 8) While having many avenues to take towards a vocational path is liberating and creates an opportunity for niches and occupational masters, it can be overwhelming. Thankfully, the days of only having the choice to become a teacher, nurse, or nun for women and doctor, lawyer or priest for men are over. However, finding the nuances in between and setting one’s own path is hard work. That being said, since the path was more clearly outlined for our parents’ generation, it is then more understandable that they experience the “midlife” crisis after working and living a certain way because they thought that was what they needed to do; before they realized they had the power and opportunity to carve their own future. This realization would also create a very legitimate mental shift, just at a different point in one’s life. While the world is wild and wonderful, it can also be terrifying for any adult at any age or time in his or her life and the endless opportunities can even feel stifling and suffocating. We all will experience that “nagging feeling that somehow [we] need to make [our] lives more fulfilling.” (p. 9) Now that the term and definition are slowly becoming a more understood reality, it is essential that research be taken for this underrepresented and under-appreciated population and resources applied to help to ease these feelings and provide the insight and options that colleges stopped offering after graduation. The Quarterlife Crisis has been around, my parents went through the quarter life crisis, but I do feel that is has changed over time. Even looking at my grandparents, I would say that there was a quarter life crisis but it just looked different back then. While my grandparents graduated from high school my grandmother worked for a very short time and my grandfather went to law school. My grandfather started a job and a family with my grandmother, who quit her job to be a mother and housewife. My grandparents had a change, a point of uncertainty, but it seemed more like a transition rather than a crisis. I would say that the quarterlife crisis has become more stressful as there are more types of occupations available, and more competition. Reading this article a lot of things resonated with me in terms of having decisions to make about my future and one mistake can cause this domino effect of not getting to where I am supposed to be. I am still figuring out who I am and maybe my quarterlife crisis is being marked by ending my 5-year relationship and for the first time in a while being by myself and thinking about what my needs are and where I want to be instead of the “we”. I sometimes feel like Sylvia Plath sitting under that fig tree and watching the figs rot sometimes. Before I came to graduate school I was job-hopping and learning things about myself with trail and error. I ended up knowing what I did not like, but could not find what I liked. The part about doubting yourself really resonated with me, I have been doubting myself a lot. I did not know what I wanted to do when I graduated and could not sustain jumping form entry level job/ internship to the next crappy internship or entry level minimum wage job. I needed to advance my degree and knew I liked higher education in college being an RA and involved in clubs. However, is this still me? Yes, I like helping people, but I do not know if this is my only passion. And if it is, higher education is not the only path I can take. But the uncertainty of what lies ahead does provoke a constant anxiety. Talking about my future with my family when I went back from winter break, talking to family friends and strangers at the Christmas parties, when people ask what I will do next, the thoughts are endless. I have no idea where in the world I will be. I do not know if I will be in Turkey, or the US? I do not know what functional area of student affairs I will be in. I know I am good at Reslife, but I think it is time for me to transition out. I do feel sometimes that I am alone in this quarterlife crisis because most of my friends went to gradschool right after they graduated and have not experienced this anxiety over what to do with their lives. I feel like I am experiencing it for the second time, with the anxiety of what is next, but it is less stressful than the first time. At least I will be more qualified with a masters degree and have a concentration, so there is some direction, but because of the options being endless, who knows where I will end up? I liked the little bit about having a positive attitude and learning to accept that this is happening and I am not alone. I will make things happen for myself. I’m going to try to change this quarterlife crisis into less of a crisis and more of a pro-active learning event. I also do not like the term quarterlife, it makes me feel old. I agree with a couple people who have already commented on this question. I don’t believe that the quarter life crises is necessarily new, I believe it just looks and perhaps manifests itself in a different way as society has evolved. I think society is starting to talk about it more and perhaps the research is behind on the times, as it usually is, but I think the problem isn’t going to go away any time soon. I think the communication piece at least, can be attributed to the growth of social media and communication technology. A simple scroll through my Facebook news feed would be enough to support the others summations that twenty something’s, at least some of them, are struggling to find their way in the world and the process isn’t always pleasant and it is one that is constantly full of self doubt and the seeking of peer encouragement. On any given day I can make a quick scroll down Facebook lane and find many of my “twentysomething” peers, though I agree with Owen and like the term emerging adulthood better, who are now faced with questions they don’t have answers to and there are a plethora of decisions to make and no teacher, parent, or friend who has a crystal ball and can point you down one clear road. I don’t believe that things really appeared drastically different in the past, though its hard to know for sure not having been alive during may parents generation when they went through it. I can say that I think there are more options and more decisions to make now then there were then. I think in my parents’ generation for example, they could make a better living without a college education then people graduating high school today. I think students graduating high school today would be lucky to find internships in many fields let alone paying jobs without a college education. I also think that the type of degree you get in college has a much bigger determining factor in your career than it has in years past. I have heard from many people that in “the good old days” you could have a degree in anything and it would be versatile then it is today. So in these ways I believe that students today have a lot more decisions that they need to make that will limit their options down the line then students of generations past, but don’t think the feelings of insecurity and anxiety are likely to bee any different. Id also expect students in past generations to experience these feelings earlier in life then students today, and perhaps that may have clumped them in better with adolescence developmental theory. Although I do not think the quarter life crisis is new, I think it has probably changed over the past fifty years. As the Quarterlife Crisis reading explained, previous generations had an emphasis on “supporting the family” and were less inclined to make rash decisions and changes, as their lives were more closely outlined or planned out. Now, since opportunities abound for graduates, the decisions for them to make are also there too. I am sure that in past generations, individuals experience the self-doubt and questions the decisions they have made-it’s natural to do so. However, I think that again, with the culture of the past, and the difficultly in switching fields or the lack of availability of knowledge of availability of options, it was harder to make the immediate and seemingly out-of-the-blue changes that occur today. I think awareness of the quarterlife crisis is more prevalent now, and I think that with a changing economy, myriad of opportunities, and the sharing of life changes on all forms of social media (making those experiencing the quarterlife crisis feel inadequate or stagnant), it exacerbates the crisis that occurs, or the way it is expressed. It’s important to address the quarterlife crisis, although there may not be any “cure” for it. As explained in the reading, it is hard to quantify the extent of this, as twentysomethings are generally not inclined to seek therapy, and little research is done for this target population. I believe that the quarterlife crisis has existed as long as there has been emphasis placed on the importance of attending college after graduating from high school. Is this to say that people in their twenties did not experience some sort of crisis of existence prior to the social trend of going to college after high school? No. However, the shift from “student life to real life” today is made much more difficult because throughout college, graduate, and postgraduate school, one is removed (to varying degrees) from “the real world” and so the quarterlife crisis seems to be accompanied by more serious symptoms today in a country where higher education flourishes as opposed to a time or country where the jump into adulthood happens once a person reaches adolescence. College is a great time to determine one’s desires for their life; however, oftentimes a college experience is not entirely dedicated to this self-reflection and all the while “the real world” is quickly happening / advancing around them. Herein lies the reason why I believe the quarterlife crisis is made more severe within societies in which college is portrayed as the “right” option. Robbins & Wilner (2001) suggest that the quarterlife crisis has always existed; however, researchers have never sought after the “twentysomethings” demographic and, therefore, a lack of evidence toward this phenomenon results. After reading this chapter, however, I saw a recurring theme within the majority of interviewees of attending college and so I believe the suggestion of the authors that the quarterlife crisis as being a condition which has always existed is not true in this context. Does being a “twentysomething” suddenly make a person depressed due to the biology of their age? No. It is the expectations that surround this age that causes the crisis; however, when those expectations are minimal due to some people (people in societies where they are children, then adults) having already lived the “adult life” as soon as puberty hits makes for a much more enjoyable / comprehendible experience within this age bracket, I would assume. I believe the quarterlife crisis based in attending college is much more different now than it was when higher education first became prevalent within a developed society. Firstly, the fact that college today provides a person with so many more directions for their life creates greater anxiety to determine what one is passionate about and ensure that their future action celebrates this passion in the greatest way possible. When attending college meant becoming a teacher or lawyer alone, it did not create such crisis for the “twentysomething” I would assume. Also, as many soon-to-be retirees look to wave goodbye to companies they have worked at for forty years, this demographic assumes that the “twentysomethings” have the world at their fingertips and do not have to invest in a single company for a working lifetime anymore. This workplace reality may be true; however, the expectation that “twentysomethings” have no worries with regard to finding a job places a lot more pressure on this demographic today than in years past. Finally, the fact that a person today may change jobs ten to fifteen times within their lifetime means that they can change their jobs that often. The market has exploded and there are thousands of new positions available to you today. An enormous amount of pressure to find “the right job for you” is placed on the “twentysomething” demographic today as a fear of settling keeps these young people up at night. I know this fear of complacency has certainly kept me awake. I don’t think that the quarterlife crisis is a new phenomenon and a lot of the struggles that the students discuss in the article sound familiar to struggles faced by people of all ages. Perhaps in today’s world where college is a natural progression, having this crisis after graduation is “new”..but I think people have always questioned their lives. My mom started making jewelry when she was in her 50s. My dad went back to graduate school in his 50s. I don’t think we’re ever done exploring. Penny makes the statement that no one is completely settled and I think this is true–we are always planning and striving for more or what’s next. I do think that this idea that “everyone but me has it figured out” is common in today’s college students. I hear them talk about this a lot. Everyone puts on a front that things are fine and that they know what they’re doing–but most of them do not. I do not, however, agree with the statement in the beginning that people are not talking about the quarterlife crisis–perhaps students do not want to reveal to their fellow classmates how lost they are, but they certainly are comfortable talking to a mentor about it. I noticed that a few of the students who responded struggled with coming to terms with their childhood ideas of what they wanted and the reality of how it all turned out. I think this is half the battle–we are so uncomfortable with uncertainty that we cling to these past ideals and then when we get what we thought we wanted, it’s not what we expected or we don’t feel the way we expected to feel. I think this crisis is similar and different to the past. I don’t think there is anything new or different about not knowing what you want to do or finding your passion, but the age and timing of this crisis is different from the past. People are getting married later and starting families later. This kind of fits in with Arnett’s theory of emerging adulthood. I can’t believe Liz mentioned the pilot episode of Friends, as I (in a fit of nostalgia) watched that, as well as several other first season episodes earlier this weekend. Combine that with the reading we had in The Quarter Life Crisis, and it made for quite the weekend/existential twentysomething quarterlife crisis, so to speak. Phoebe said it best when Monica asked her, “Phoebe, do you have a plan?” Phoebe, in distress, hair in front of her face, flat on the floor, responds, “No. I don’t even have a pla.” Not even half of a plan. All this to reiterate what everyone else has stated: twentysomethings worrying about a plan is not a new phenomenon. It has been around, with these men and women questioning where they find themselves. No longer living at home, no longer in an institution of higher education, no longer being supported by parents, all of a sudden, this is your life and it is, as the author says, it has been “thrust into chaos”(p. 3-4). The author mentions feelings of indecision and apprehension, and these are emotions I believe plague many twentysomethings of today. I may no longer be the Generation X described in the book, but the feeling of panic that comes with picking what is next and the butterflies that flap around my stomach, making me feel like my next decision will define who I am, those I understand completely. I think the author does an excellent job addressing the tension between the jobs we hold and the people we want to be. I think as all of us in Higher Education have heard the question, “So…what are you going to do with that?” Having hear that question for the upteenth time in recent memory, I know I have started to feel like the job I am trying to land or the career path I am seeking is who I am. If you hear something enough times, sometimes you start to believe it is true. However, I think what many of the twentysomethings in Quarterlife Crisis are speaking to is the idea that we are so much more than the jobs we want. We have always been told we can do anything, be anything. And for the most part, what we want to be are people who run so much deeper than a 9-5. We want to be living our lives outside an office. Helen explains this idea, “…all that time I spent wondering why I didn’t have a plan and trying to figure out how to get one, my real life was passing me by”(p. 21-22). And this, I think, is the real twentysomething crisis. We are dreamers and thinkers and believers and hard-workers and geniuses and protégées, and yet we are so intensly focused on what’s next that we have started to miss out on what is now. And that is not only a crisis, but a shame. Our culture is so fast-paced and our world is always seeking the next best whatever that we can forget how spectacular the now truly is. Owen’s dedication to reflection is something I think many twentysomething’s lack. It’s not that they don’t want to do it, I think that we are just worried what giving up five minutes of planning for reflection will do to us that we can’t let go. But really, it is time to let go. Time to reflect. Time to recognize the importance of the now. Otherwise, I think there will be a crisis. A crisis facing an entire generation that doesn’t know how to sit still and listen to their own hopes and dreams. I don’t think the questions and worry facing twentysomethings of today are new. However, I do think more than ever, we have to make sure that we are facing those questions head on. Avoiding the difficult questions will only create a larger crisis, more twentysomethings who are running a Fortune 500 company but don’t know who they are. What I think this book, and Sylvia Plath, are saying is that there is a potential for a crisis if we do not stop worrying so much about which path we are going to take and enjoy the now. Enjoying the now and listening to our own wants is the only way we will be able to move forward and reach the fig at the end of our branch, whichever branch that may be. I LOVE that you are appreciating my TV problem and Friends’ references! Your observations are much better than mine! The author writes on page 12, “Our critics might counter that such a crisis does not exist” and goes on to justify this work as disproving that because the twenty-something year old people they interviewed all talked about this “identity crisis” feeling. It seemed like a poor response to these supposed critics. How many people exactly did the authors interview? Did they actually come from diverse backgrounds, like the authors suggest? The short anecdotes that the authors reference in chapter 1 really don’t sound reflective of the class diversity that exists in the United States. The chapter read like something you might find on a self-help book designed to make some 22 year old reader feel like they are having some sort of shared experience with all other 22 year olds. The authors seem to conveniently forget the many different life decisions that students make while they are 18-19 years old, as well as much later in their life. Let’s assume for a second that all of the college graduates coming from the variety of different institutional settings really are experience the same existential “crisis” that the authors describe. If this really were the case, I think that would be a reflection of higher education not serving an important purpose in requiring students to explore different career paths and make the necessary connections between what they are learning in the classroom and what they can do with their skills and knowledge after graduating. Institutions are not creating an artificial world that is separate from the “real world” existing outside of their gates. Internships, co-curricular involvement, service-learning, on-campus employment – all of these are things that are intended to help students with exploration and transferable skills. Additionally, I found this reading to problematic starting with the very foundational language of the title. Why is asking questions about one’s purpose in life, career aspirations, strengths, (etc.) worthy of the word “crisis?” Crisis has a negative connotation and reflects a sense of something being out of control and detrimental. While I understood the author’s point about the time after college graduation being when *some* people have more options than they’d ever experienced before, I really question whether the myriad of social identities, childhood and adolescent experiences, and range of cognitive complexity can be ignored the way that they are in this chapter when the authors talk about a “twenty-something identity” as if it’s not a social construction that they’ve described. The authors write about these “twenty-something” individuals as if they aren’t self-authored individuals who are constantly negotiating tensions between relationships, values, ideals, expectations, career aspirations, experiences at all different points in their lives. You could take the assumptions of this reading and extrapolate to describe a “30-something” identity when all of a sudden the 30th birthday hits. Have all 30 year olds done enough job hunting and changing their minds to all of a sudden experience a decade of reassurance and stability? How would these authors account for the fact that that adults become parents at all different times in their lives, make career transitions at different points, move to different parts of the world, marry and divorce, experience the death of loved ones? It’s ironic that “unique” is in the title of the book since the entire first chapter seemed to be about making unfounded generalizations. Truly digging into the diversity of human experience might undermine the premise of the book. After reading the “Quarterlife Crisis” passage, to me, the word that the author used that best encapsulates what is behind the crisis is “doubt”. Obviously doubt has always existed, but I don’t think the doubt of twentysomethings has ever been magnified like it is in today’s day and age. This is why we have gone from a stage of doubt that is natural for people this age, to a full blown crisis. Doubt is magnified today by the instant gratification that we all have become so used to. Therefore, if we don’t receive this gratification immediately as we always do, panic sets in. The author relates in the ‘Penny’ story that the subject was too worried about who she was instead of “just being”. In my opinion, today’s world moved too damn fast to “just be” (p. 25). When I take time to “just be”, I feel like every one else around me is surpassing me and getting a leg up. In my opinion, this is why there is a quarterlife crisis problem with today’s twentysomethings. Unfortunately, with this being the problem, is seems like a bleak outlook, because how do you solve it? You can’t really slow the world down. However, how I personally try to cope and slow my world down is by trying to take time to step back and reflect, so that even if I can’t slow everything else down around me, I can at least pull back and gain some perspective. In one of my graduate classes last year, Adolescent Psychology, I read a similar piece, but it referred to this stage as “emerging adulthood”. In my opinion, I much prefer this in place of referring to these people as “twentysomethings”. Using the word “somethings, holds an inherently lost and ambiguous connotation. I feel as though this further perpetuates the doubt in these people. I like “emerging adulthood” because the word “emerging” is much more active and carries the connotation of moving forward to an advanced place. I would agree that the “quarterlife crisis” is a fairly new issue for twentysomethings. The increase in the cost of education and life in general places a lot of pressure on young adults. They need to figure out what they want to do and how to make a lot of money doing that. Although there are infinite choices of what one can become these choices can be the cause of stress for young adults. How can someone decide what they want to do for the rest of their life and accomplish what is needed to achieve that goal in only four years? It seems impossible! In addition, too many options can be overwhelming and can cause self doubt. I liked how the article mentioned how life choices, whether they are small or large, can bring about doubt. I do not believe that this level of doubt was around before all of this pressure. I just keep picturing people ten, twenty, thirty years ago who all seemed to know their life paths from an early age. They achieved what they had to to succeed and continued as a professional. With the choices available in the world today it is easy to settle for a position or field that may not necessarily be the best fit. It is extremely difficult to find a job in this market, which is why people do have to settle for jobs that may not be their dream jobs. I think that both the passage from “The Quarter Life Crisis: The Unique Challenge of Life in Your Twenties” and “The Bell Jar” point to some very real realties that individuals in their twenties face on a daily basis. With an endless variety of options and an equally long list of stressors facing us every day, it sometimes can feel impossible to decipher which immediate steps we should be taking in order to move towards those, oftentimes, unclear goals that we as individuals set for ourselves as well as the goals that society sets for individuals within our age group. One major thing that I think further complicates this is a huge sense of urgency that we all seem to feel about getting ahead, keeping pace with our most successful peers, and finding our destinations in the most efficient way possible. In a world where a quick Google search on my smart phone can instantly and virtually effortlessly give me the answer to 90% of my questions, it is often frustrating for me to be patient enough to continue to expend energy to find the “answers” to important questions about many aspects of my own identity. While I think that, as Liz mentioned above, this is now a socially acceptable frustration, I don’t think that it makes the experience of attempting patience in a rapidly moving world any easier or less challenging. While, as both the reading and the passage discussed, this phase of questioning and confusion is certainly not a new phenomenon, nor is it one that is likely going away anytime soon, I do feel that the reaction of individuals to this “crisis” has changed. Although, as mentioned above, things might feel different for us given the technological world that we live in, I also feel that this crisis is one that individuals now expect and, thus, there are now many more tools for us to cope with these challenges. I think that it now completely acceptable to seek out therapy, read self-help books, or partake in the wide variety of webinars, seminars, and other programs designed specifically to help us deal with and overcome the challenges of the “quarter life crisis.” Although these supports might not eliminate these stresses we face, I think that they do help to spread the message that this “crisis” is “normal” and that we do not need to face it alone. I agree with both Kim and Lauren that the ‘quarterlife crisis’ is not a new phenomenon and I feel this is proven by the passage from The Bell Jar as well as recent conversation with my parents. I discussed this reading my parents, one who recently turned 60, and they laughed and stated this is no new issue. My mother, who has her phd, se,barked on her studies while working her first job because “I hated that job, it was awful”. My father had a totally different job in New York City before he entered the police academy. They recounted stories from their friends who changed careers in their 20’s as well as their feelings of questioning during their 20’s. It was enlightening and resassuring to see that this period of questioning is not new. Maybe as Lauren, stated pressures from society, the not so great economy, student debt upon graduation, and parents, have intensified this self doubt, but my parents and their peers had these same feelings questions. Even though that book The Quarterlife Crisis: The Unique Challenge of Life in Your Twenties is culturally outdated, it was published in 2001, I feel that introduction as well as 1st chapter implied and flat out stated that many 20somethings suffer in silence and the media does not address this period of intense questioning. I feel this is no longer true, thankfully. My favorite TV shows at the moment, New Girl, Mindy Project, Happy Endings, and more such as Girls all address this period of questioning. All these shows picture characters who question themselves and could be going through their ‘quarterlife crisis’ frequently. Nick Miller on New Girl left law school and now tends bar and questions himself all the time. Some may say it is the root of his endearing grumpiness. Jess Day, the show’s main character, was laid off as a teacher and questioned everything about her life as a result. Additionally, older shows such as Scrubs and Friends also painted pictures of characters in their 20’s questioning their choices and wondering: “Crap! Am I doing any of this life stuff right? !” The Friends pilot is Rachel running from her wedding because she questioned it and discovered she didn’t like the path she was on. I also feel that my friends and I openly discuss our feelings of self-doubt, unlike how many in the book were portrayed as suffering alone in silence. I feel that now that is culturally accepted that your 20’s are full of questions and self-doubt, but I am sure if I would throw the label ‘crisis’ on these questions. I am weary of this label solely because, to me, it is quite a negative word. Also, from conversations with my parents, professors, and peers the questions and self-doubt that many in their 20’s have come with the territory. Questions are not always negative– sometimes they are needed. Maybe like the last person interviewed in chapter 1 we should just all encourage each other to Be Happy or Get Happy and encourage the questioning as tool to discover if you are truly happy. I agree that the “quarterlife crisis” isn’t necessarily a new phenomenon, but that it has changed due to the new generation that is experiencing it. Part of the problem that I believe exaggerates the quarterlife crisis for many individuals these days is the immense about of pressure to be the best and succeed. It leads students, and especially recent graduates to believe that they should be getting the best jobs and the best companies because they have gone to college and have always been told by their helicopter parents that they are the best. It’s the society that this generation has grown up in. When reality hits and they realize that they aren’t the best thing sliced bread, I think this quarterlife crisis happens. As someone who just recently graduated, I have seen some of my friends begin to realize this and enter the quarterlife crisis. I have seen two friends in particular be offered great entry level jobs that get them into fields that they are dying to work in one day only to reject the offer because the jobs were “below them”. In one of those cases, my friend ACTUALLY told or implied that to the employer after they offered her the job! I was stunned and baffled by her decision and haven’t let her live that down. As a result, both of these individuals are still job less and beginning to panic about it. I see and hear of these situations often, how people in this generation don’t necessarily understand the value of hard work and think that everything will be handed to them. I think that once they realize that everything won’t be handed to them and that they probably won’t become a billionaire or astronaut overnight, the panic and the quarterlife crisis begins. I wonder how much of this deals with how students were parented in this generation and the influence of specific media messages… hmm…. I don’t believe that the “quarterlife crisis” is necessarily a new phenomenon, but it has certainly increased in intensity over the past few decades – so in a way, it does seem different than before. 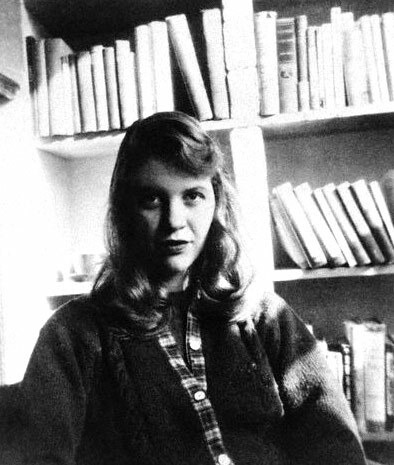 While Sylvia Plath’s excerpt was written in the 1960′s, it resonated with me as a twenty-something in 2014 – the overarching issue remains quite similar, but has grown in intensity. As more students pursue higher education, and professional education beyond the undergraduate level, they are “sheltered” by more years of schooling, as the article claims. That, along with the plethora of career, relationship, and travel opportunities that both genders are able to pursue upon graduation, makes it difficult for a twenty-something to choose what he/she is truly passionate about and wants to pursue. It can also be difficult for recent graduates to re-define themselves after they leave college and enter the real world, as they tend to define themselves by their university education or by their job description – two recipes for trouble. It can be difficult for an individual to re-discover each aspect of his/her identity when so much of his/her life is changing simultaneously. I also believe that recent technological advances, making it easier to travel, communicate with others, and relocate, makes the choice far more difficult than it would have been in the 1960′s. It’s easy for a student to move away for college, move again for graduate school, and relocate once again to begin life as a young professional. This is a mini crisis that I am currently facing – I can pick up and move to any US state (or anywhere in the world, for that matter), but where shall I go? As I see more of the US, I find that I could be happy in just about any state I have been to so far – and it has been easy for me to travel to these places, as well as keep in close contact with my undergraduate friends, due to technological advances. It can be difficult for a student who has been told that he/she can “do anything they want, as long as they are passionate and determined,” when they are not quite sure of what they want to do, attempting to sift through a myriad of options presented to them. While this may not be true of every twenty-something, I can certainly understand the struggle that many college graduates face when they finish their schooling.